阿健的画廊: wanna have my final exam!! this this i onli need to exam for 2 units...sound easy, rite but it is finance subject leh!damn hard!all calculation which owes make me so confuse which formal i need to use..
this time i really need to read the question carefully cos they all damn tricky! and wish everyone all the best!! !jia you!! 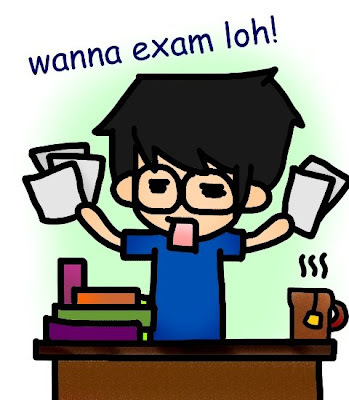 !must PASS all the subjects!! !aza aza!!! wa...two finance units...jiayou! very kik!